Ian Anderson’s Original-Cave Tubing Adventure: Available YEAR ROUND, this full day caving expedition will take you off the beaten path to explore ancient Mayan ceremonial centers, ... morepottery, artifacts, altars, obsidian blood-letting blades, jade, and the actual footprints of ancient Shamans and priests that date back to 400 A.D. Have lunch served picnic style by headlight to the sounds of the underground cave. 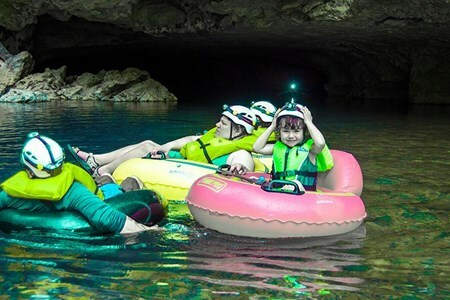 **This adventure is not the same as the highly requested River of Caves 7 Mile Cave Tubing (which is only available from July to Jan each year). Comfortable lightweight shorts and a shirt that allows for movement and can get wet. Well threaded sneakers or hiking boots, and mosquito repellant. (Younger children must be approved by Guide Team). See your light flicker upon strange shapes and the ultimate darkness beyond. Hear the echo of your own voice bounce off the distant walls. Listen to the water dripping from the ceiling, creating spectacular formations in the stunning chambers. And while you might be expecting dark and claustrophobic passageways, you are likely to find enormous chambers and cathedral- sized rooms. 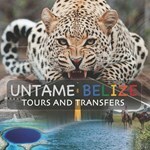 Journey into Belize’s spectacular underground realm and take a trip back to time!. 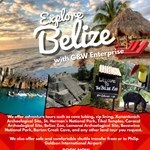 This amazingly popular and unique tour is a fast growing sector of the Belize Tourism Industry and pivots around one important factor: Safety. 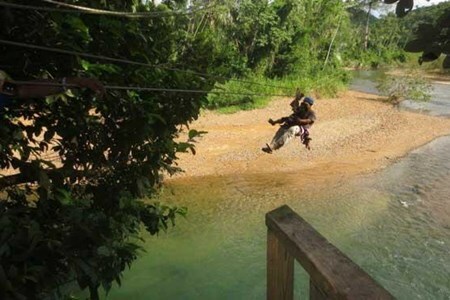 Set within Belize’s lush rainforest, this tour starts with a safety session from the professional zip line crew. Following your safety session, well-trained guides will help you with your harness, hand and body gears, and helmet. Double cables (each capable of withstanding 2,000 lbs of weight) are used for the ultimate in safety. A brief 5-minute walk takes you to the first of 8 strategically placed platforms and the start of your excursion. The platforms are as high as 85 ft and as far apart as 1200ft. All landing platforms are equipped with handrails. Guides meet you at each landing to ensure your personal safety. 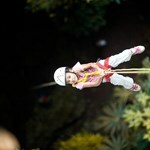 At the end of the zipline tour, you will repel from the last platform back down to earth. This is truly a heart-pounding adventure that is sure to please the thrill seeker in you! 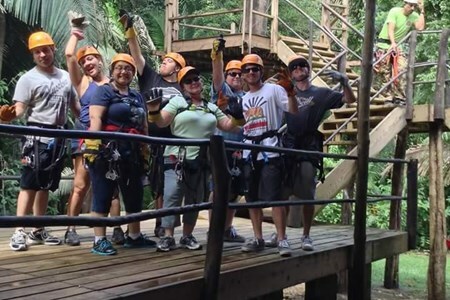 A thrill ride is waiting for you on an outing that combines one of Belize's grandest ancient sites with the excitement of adventure in the jungle. 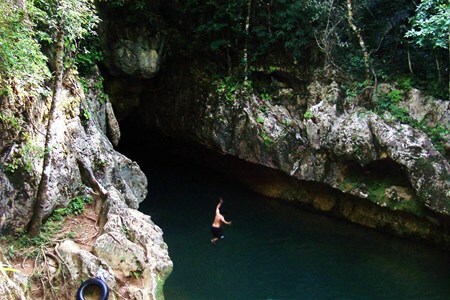 A private guide takes you to visit ... morethe ruins of Altun Ha, go tubing through a rich cave system, and breeze through the air on a spectacular zipline course. You're picked up at your hotel in the morning for the drive to the ancient Mayan city known as Altun Ha. Here, your guide shows you around the collection of pyramids, walkways, and plazas as you learn about its history dating back to the 10th century BC. 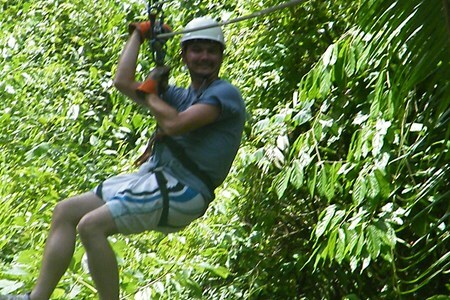 Next, you're taken to a zip line facility with a course built in the canopy of Belize's lush rainforest. 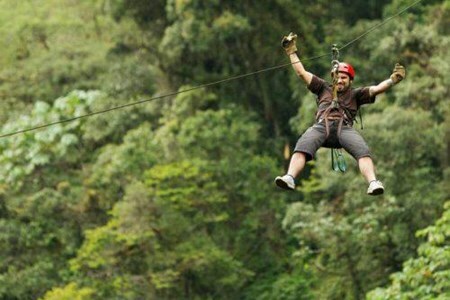 Gear up and strap in for a ride that takes you over the treetops, on lines that take you up to 85 feet (26 m) above the ground for terrific views of the jungle rushing below. Grab some lunch as you catch your breath ahead of an expedition that takes you into the rainforest and to the mouth of a system of caverns fed by the Caves Branch River. Here, you pick up your tubing gear and set off to let the current carry you underground. Admire the stone pillars, stalactites, and stalagmites, and learn how the Mayans viewed these surroundings as a part of the underworld before the tour wraps up with a ride back to your hotel. 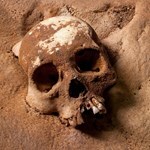 This tour will take you from the Maya temple to the entrance of the Mayan underworld. The adventure starts at the popular Mayan site of Xunantunich; just getting there is an adventure ... moreof its own. After touring the temples, we drive to No’och Che’en Cave, where you will start off on an easy hike through the jungle to your starting point. 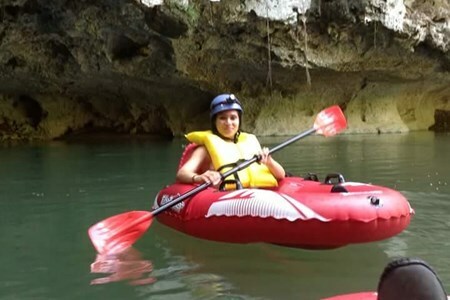 As you sit back and enjoy tubing downstream, you will be floating through a series of remarkable limestone caves, each filled with fascinating discoveries of the Mayan underworld. There is also an opportunity to leave your tubes behind and go exploring into cave chambers, where you will see ceramic pieces and beautiful geological formation. The adventure ends floating downstream through the jungles of Belize; back at the starting point. Take a Day Trip from San Pedro, Ambergris Caye to Explore ancient Mayan Caves once used for ceremonial purposes. 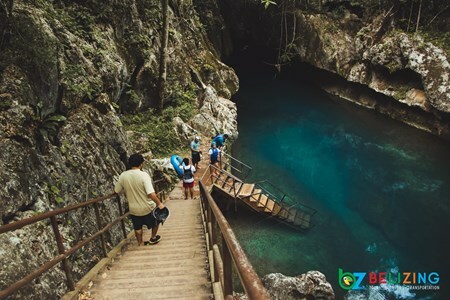 Trek through the Belize jungle to the Cave entrance, secure your light, ... moregrab a paddle and an inflatable Raft then paddle your way into Xibalba. 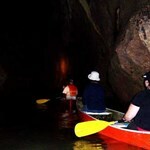 Explore and discover underground waterfalls, crystal formations, bats and cave swallows. Paddle on your own and Explore more cave. 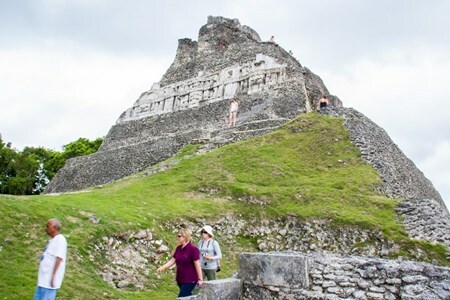 Explore ancient Maya temples at Xunantunich Archaeological Reserve. 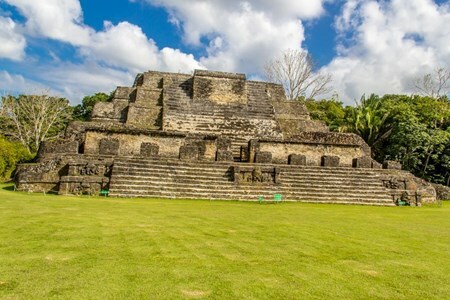 Climb the ruins, learn about the history of the Maya and visit the onsite museum. 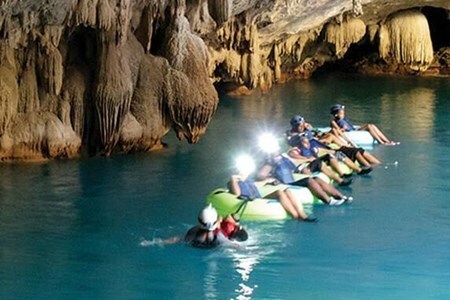 Then paddle through the Maya Underworld ... moreexploring underground caves as your headlights illuminate the darkness revealing crystalize formations and underground waterfalls. 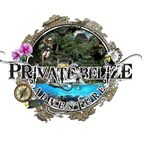 Our friendly tour guide will greet you upon request at any location requested by you in Belize city. We are equipped with comfortable minivans or full-size vans with air conditioning ... moreand passenger liability insurance. Our journey begins at 8:00 am with an hour drive along the George price highway to Jaguar Paw. Guests will be geared up and then taken for a 30 minutes hike into the forest with their tubes. 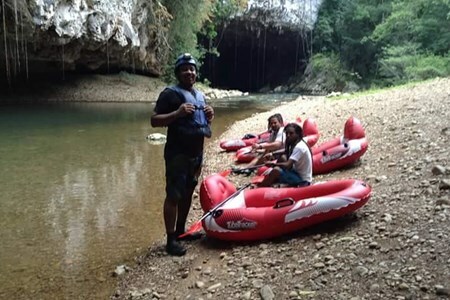 The cave tubing in our beautiful caves will begin with our tour guide enlighten you with many educational and historical information along the way. The tour will last around 2-3 hours. At the end of the tour, guests can swim at a nice location outside of the cave. Just in time for lunch. Lunch will be provided with one of the best restaurants in the park. The menu will be our local cuisine rice and beans or stew bean/coconut white rice with stew chicken. The menu can be extended upon request. 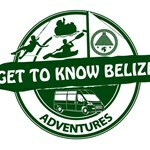 At 1 pm we will start our 1-hour journey back to the Belize city along the George price highway. 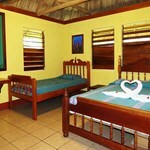 Your adventure day starts right when your friendly tour Guide meets you right at the hotel or the airport in Belize City. He/her will get you in, and the air-conditioned tour van will ... moretake you on a 90-minute drive to Xunantunich. 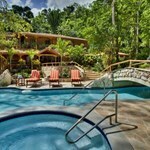 The drive will offer a variety of views countryside of Belize. Green lawns, palm trees, plantations, and hillside will be part of the scenery. Please note that the order of the excursion activities may be switched depending on the time 0f the year. You will have the chance to experience small a hand ride on a ferry ride. Its ride is as smooth as it is brief. It is only a 10-minute river crossing ride, enough time for you to step outside the van and stretch your legs while looking at the beautiful river. 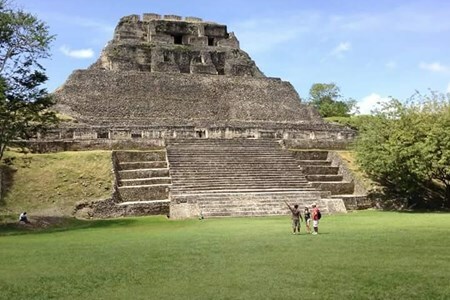 El Castillo is the second largest Mayan temple in Belize. Standing at about 135 foot above the level of the central plaza and to this date, you have the opportunity to climb this impressive Mayan temple structure. Reaching the top you can enjoy the unique view including a border town of Guatemala. Xunantunich is at the top of the Mayan World! 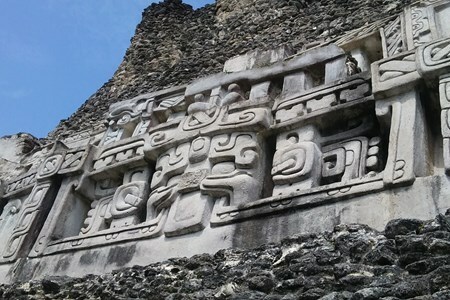 Your local Belizean excursion tour guide will have many facts to share about this Ancient Maya astrological sites! 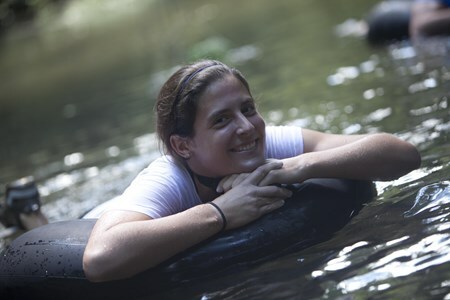 After your guided tour of Xunantunich, the ride to the Cave Tubing Park is about 60 minutes. 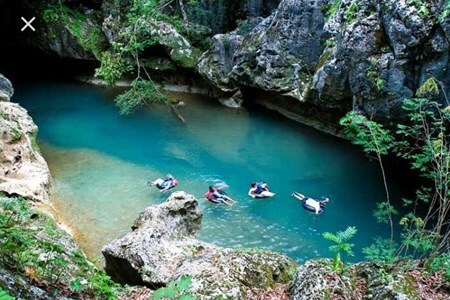 Your cave tubing adventure with part of this Adventure in Belize. 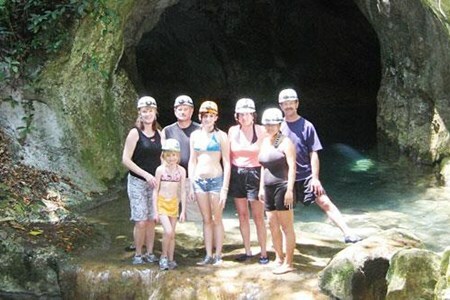 When You arrive Cave tubing, your tour guide will go over safety information. Then, you will be getting your headlamp and follow the guide on the walk to the cave entrance – approximately 30 minutes. These caves system that was considered to be the Underworld of the Maya. With date over 2,000,000 years old cast shadows on the cave walls as you explore and experience the ancient Mayan underworld as you Tube along. A living museum, where the past can you still experience in its historical and natural caves. Glide past openings in the ceiling chamber of the caves, filtering mists of jungle light, as your tubing through underground river caves sparkling with mica-studded stalactites and stalagmites. There are three caves you get to float through. Your friendly excursion guide will help you to get the most out of this experience. 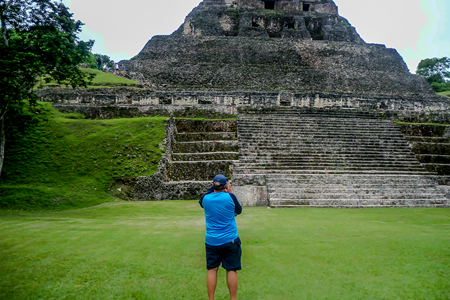 You will be picked up in Placencia and head to Xunantunich with a local guide. The site was a major ceremonial center for the ancient Maya and it was the first Mayan site in Belize ... moreto be open to the public in 1954. From the top of Xunantunich, you will get a spectacular panoramic view of the Cayo District and across the border in Guatemala. Getting to Xunantunich includes riding a hand-cranked ferry to cross the majestic Mopan River. After exploring Xunantunich and having lunch ( not included in the price), you will head to the Belize Caves. This is where you start with a hike through the exotic rainforest to the mouth of the cave. The view is stunning as you float away from the cave entrance to your inner tube with only your headlamp to lead the way. 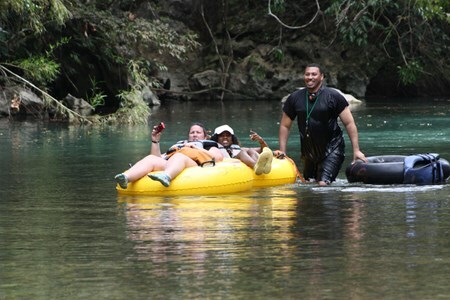 Cave Tubing in Belize.Find Cave Tubing Tours from License Providers in Belize. Cruise Excursions Available with Guaranteed Return to Ship. Pickup and Drop-off to Cruise Terminal in Belize City. Book Cave Tubing Adventures.